This is a pet-friendly event. Please remember your pets need to be on a leash and well behaved. The Festival committee or Kimmswick board of Alderman does have the right to ask you to leave the festival if there are any problems with your pet. DON’T FORGET TO READ NEW FOR 2017 AND THE NEW RULES AND REGULATION WE HAVE HAD SEVERAL CHANGES AND WE WANT TO MAKE THE TRANSITION AS EASY AS WE CAN. THANKS. This expanded listing gives users more information about vendors, which prompts greater interest and more chances that they will visit that particular map point. If you are a food vendor that uses any heating source please contact Rock Community Fire Protection District for permit and regulations. Call 636-296-2211 or click on logo for link to their web page. Food and beverage vendors are responsible for obtaining their necessary permits or licenses from the Jefferson County Health Department. 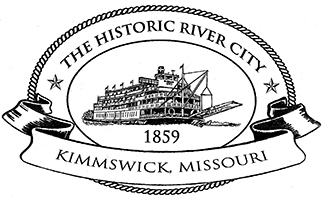 Note that the department will be present at all festivals in the City of Kimmswick to conduct inspections. City Hall hours are Monday - Friday 7:30am to 4:00pm. This is the Official website of the City of Kimmswick Government.